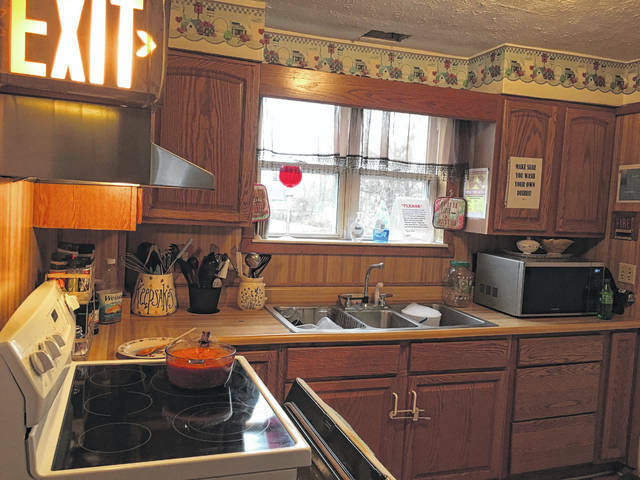 A glimpse inside the Mason County Homeless Shelter, the kitchen where meals are prepared for those housed at the shelter as well as for the soup kitchens during the week. POINT PLEASANT — When the end of the day bell rings, some of Mason County’s youth do not have a place called home to go to after school. In conjunction with the Point In Time (PIT) Count, which Mason County will take part in January of 2019 to gather data on sheltered and unsheltered homeless individuals within the county, magnet events will be held to bring awareness about the homeless youth in the county. The advisory council of the PIT Count along with Doug Sturgeon, attendance director and McKinney-Vento Liaison at the Mason County Board of Education, are forming a youth advisory council to assist with the planning of these magnet events which are being held to assist in counting unsheltered youth in Mason County explained John Machir, housing director of the Mason County Homeless Shelter and Simms Housing. The magnet events will have activities, prizes, and refreshments for the children and their families who attend. These events will be youth-focused, planned, and executed by homeless and non-homeless youth under careful adult supervision. The non-homeless children and their families are included during these events as well so these children can become aware of what some of their classmates lives are like outside of school and can show compassion for them. The homeless children and their families will be offered the option of participating in the count which will be held in a separate room adjacent to the activities to provide these parents and children privacy during the administration of the survey. For individuals to be “counted,” their living situation would be staying in public or private places not designated for, or ordinarily used, as a regular sleeping accommodation for human beings, including cars, parks, abandoned buildings, barns, sheds, ball field dugouts, tents, railroad tracks, along the riverbank, etc. Mason County local schools have been very cooperative throughout the organizing of these events Machir commented.